Simple Things: I know there is something I am supposed to remember to do today . . . I know there is something I am supposed to remember to do today . 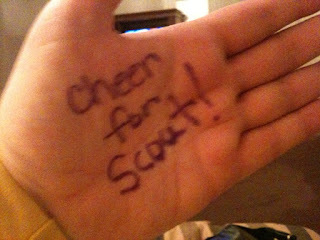 . .
We're doing long distance cheers -- Go Scout! Just saw the tweet -- BOS!! !